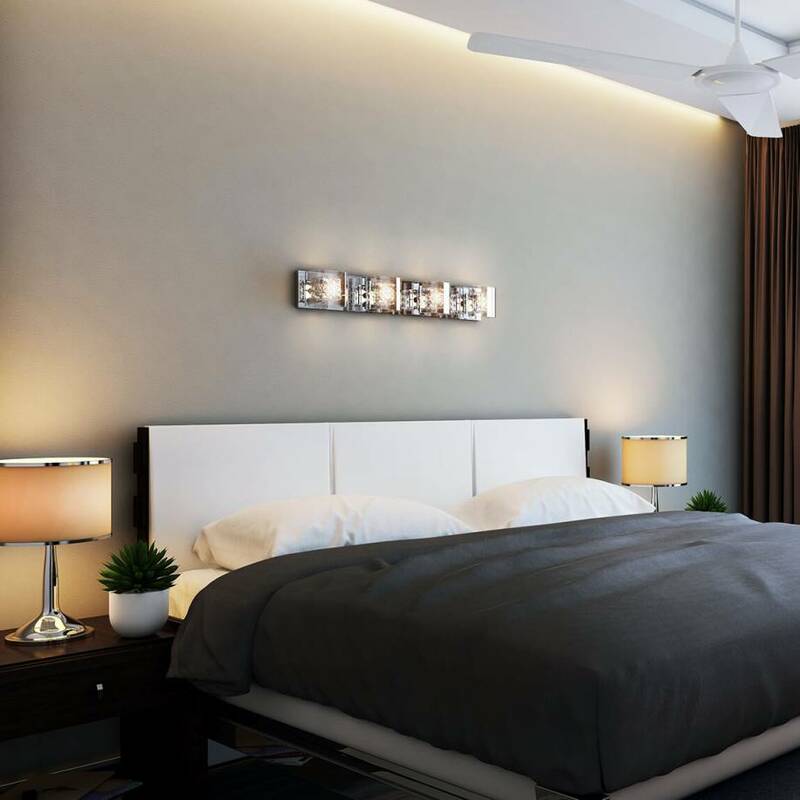 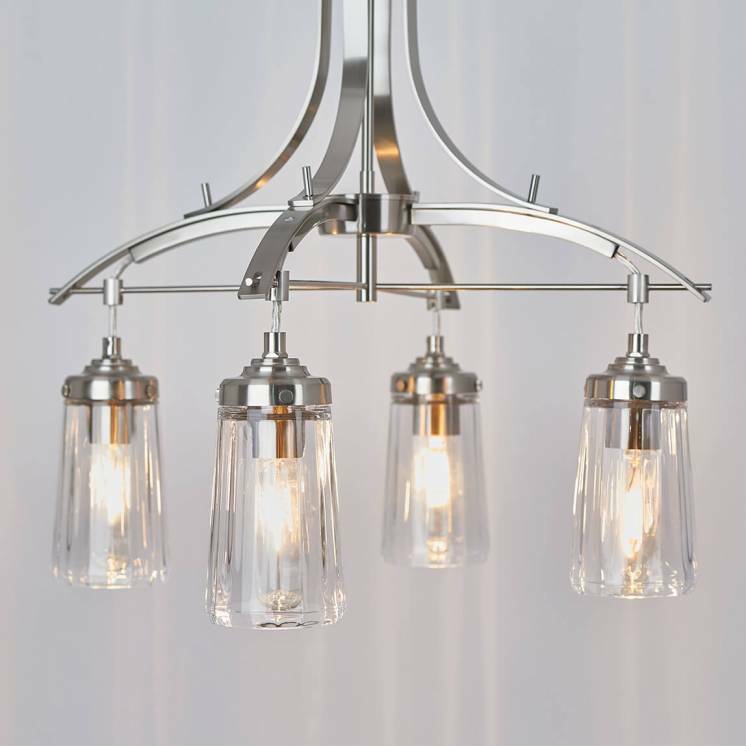 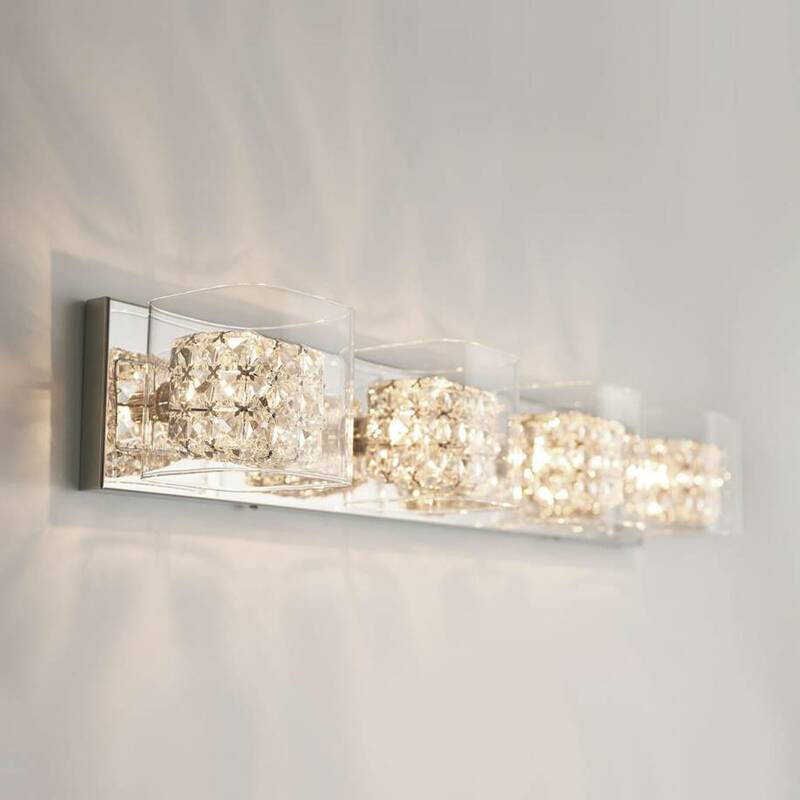 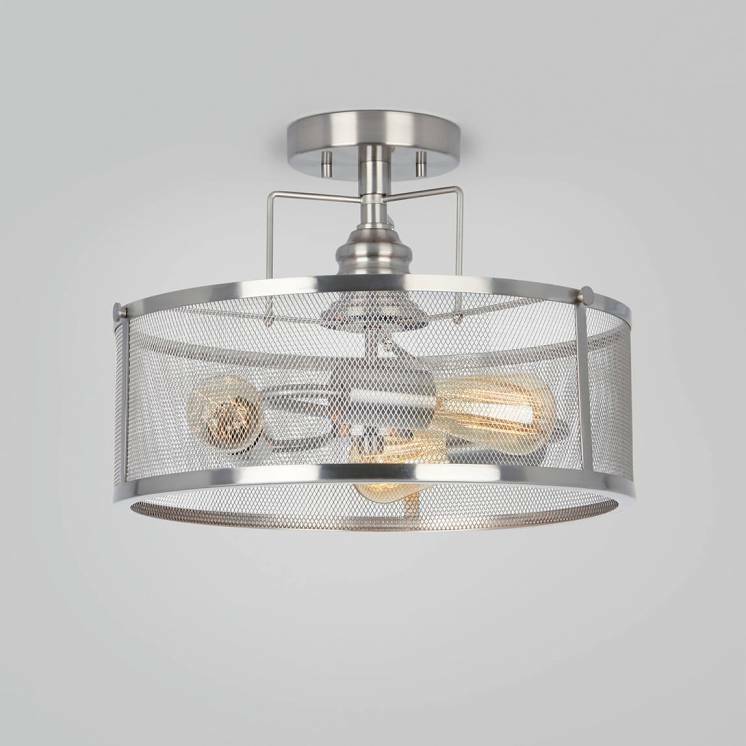 Brighten up your home thanks to this dazzling light fixture. 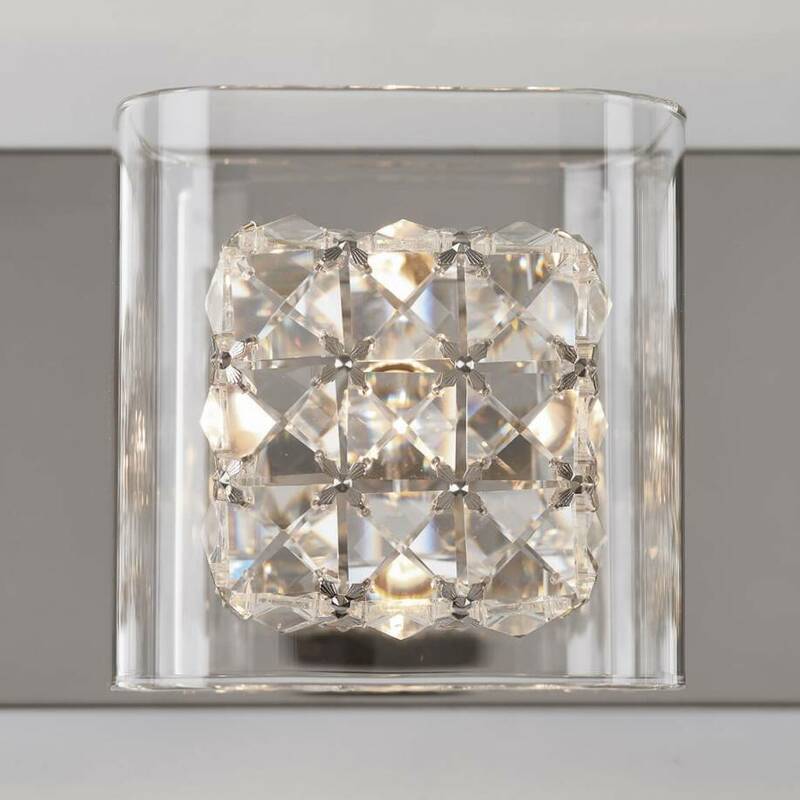 Perfect for a master bedroom or a luxurious bathroom, the Crystal Cube fits in especially well with modern and refined decors. 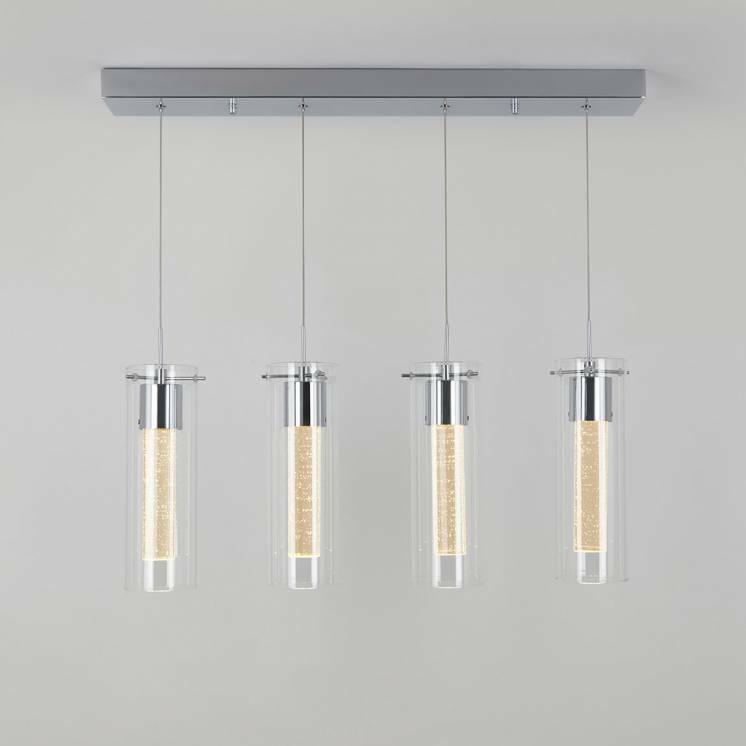 The purity of its 4 glass diffusers complemented by scintillating crystals and enriched by a chrome finish brings a subtle feeling of opulence to your home. 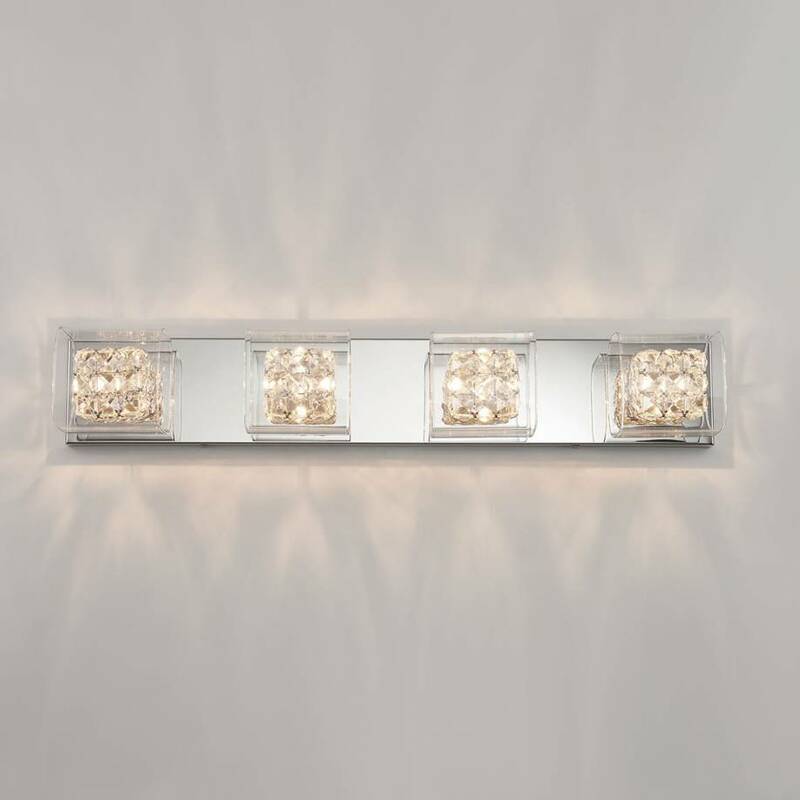 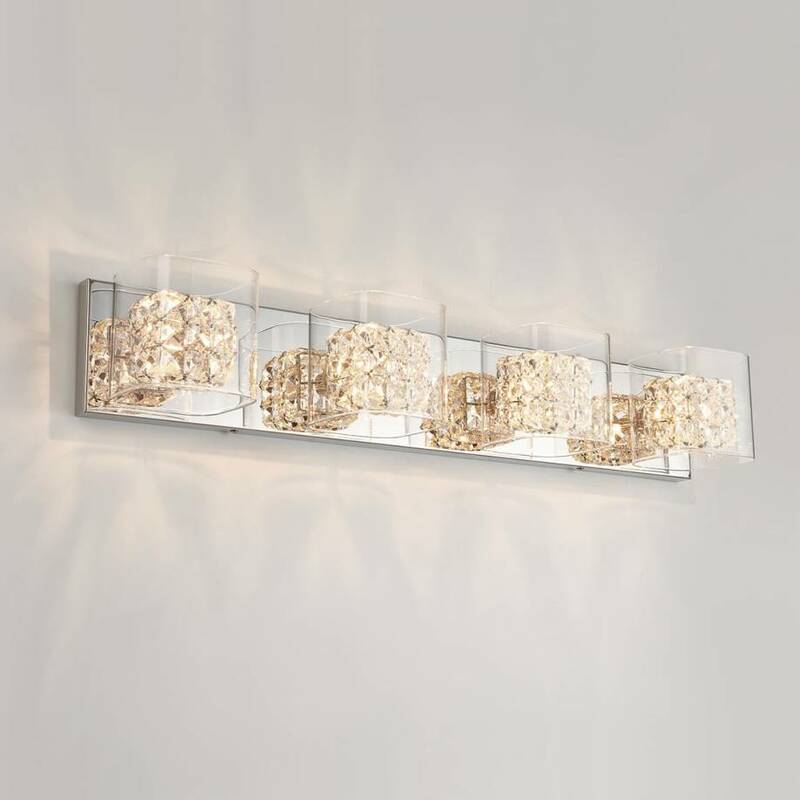 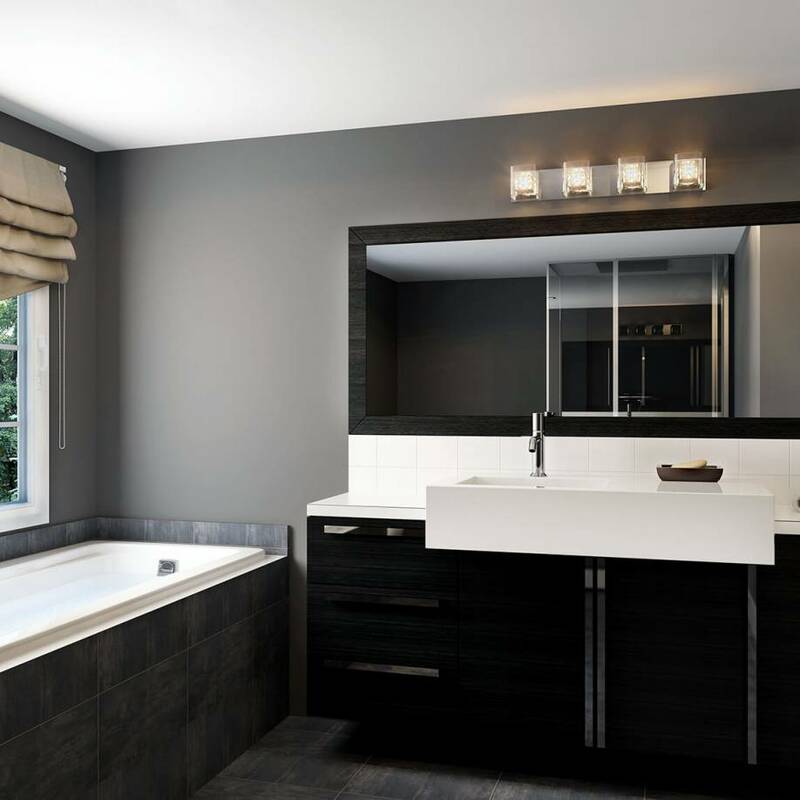 Once turned on, this vanity light fixture scintillates and fills your space with a forward-looking touch. 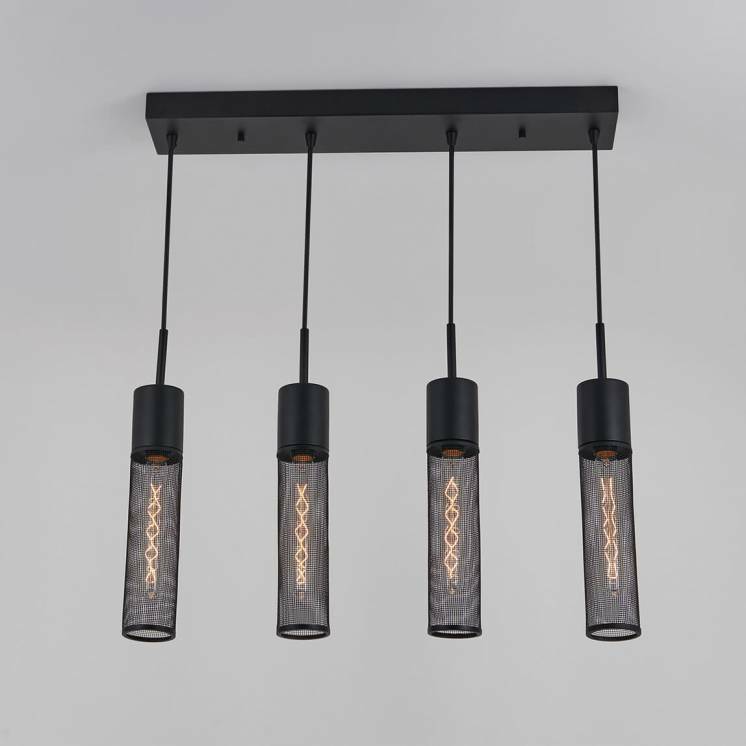 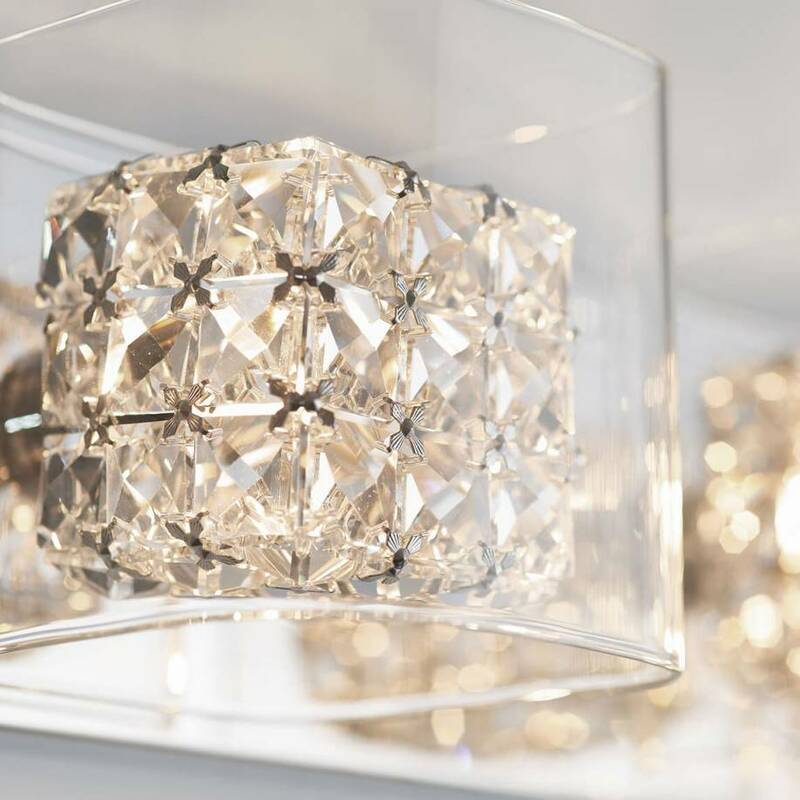 Designed with even the smallest detail in mind, the Crystal Cube is also a durable and very reliable light fixture, in part due to its exceptional finish. 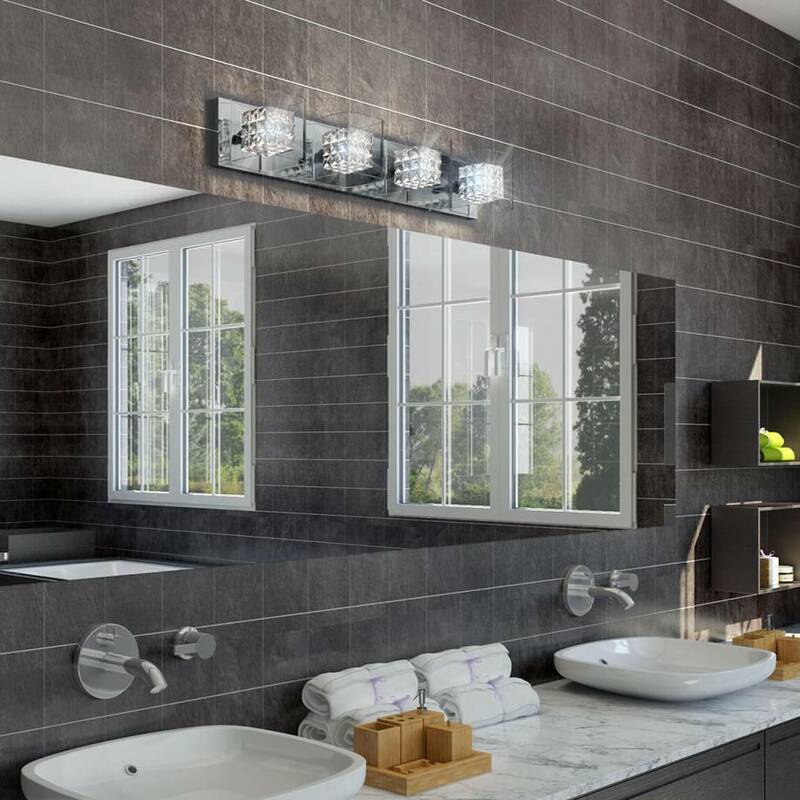 Honor the beauty of your home by easily installing this unique model.